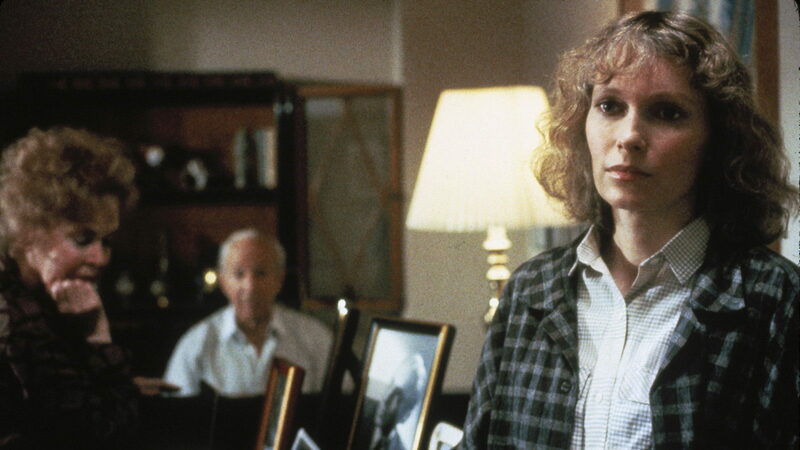 A social comedy, Hannah And Her Sisters delves into middle class and middle age emotional crises, and represents one of Woody Allen's finest cinematic moments. In New York City, Elliott (Michael Caine) is an investment banker married to Hannah (Mia Farrow), a once aspiring actress who has settled into a life of domestic bliss. Although he loves his wife, Elliott is also secretly lusting after Hannah's more free-spirited sister Lee (Barbara Hershey), who is currently in a relationship as the muse of conceited and reclusive artist Frederick (Max von Sydow). 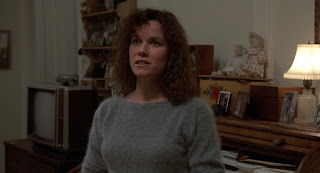 Hannah's other sister Holly (Dianne Wiest) is a former drug addict, always asking Hannah for money and still dreaming in vain about making it as an actress. Hannah's ex-husband Mickey (Allen) is a television producer going through his latest health scare related to hearing loss. Elliott contrives an "accidental" on-the-street meeting with Lee and finally gathers up the courage to express his love, but he is torn between the thrill of an affair and the stability offered by Hannah. Meanwhile the relationship between the three sisters ebbs and flows with the passing seasons. Directed and written by Allen, Hannah And Her Sisters features a collection of New Yorkers struggling with typical Allen issues over two years book-ended by the anarchic warmth of Thanksgiving family gatherings. Elliott is imagining the greener grass on Lee's side of the sistery fence, Lee herself is feeling stifled by the egotistical and older Frederick, Holly is pursuing a career that does not exist and hypochondriac Mickey is dealing with his latest health scare and concluding that a change in religion is in order. Meanwhile Hannah's parents do not offer much in the way of guidance -- or maybe they do. Norma and Evan (Maureen O'Sullivan and Lloyd Nolan) are living out their years with plenty of fire and ice, bickering as much as they are reminiscing, their lives having consisted of conflict, tumult, betrayal and an abundance of love. Only Hannah herself appears to want to chart a steady course, and pays the emotional price for it. She happily gave up an acting career in exchange for relative domestic bliss. Stable, steady, the rock for her family and her sisters, Hannah is accused of being too perfect, her advice too pragmatic. Both admired and resented for the resilience, organization and warmth she provides, Hannah is an example that is too obvious to emulate. These are all of course first world problems of privileged New Yorkers, but there is no denying the affinity Allen has for all his characters. The dialogue is sharp, funny and rings relatively true. Allen laughs at the situations surrounding the characters, not at the people themselves. And the multiple story arcs do spring some lifelike and unexpected surprises, some apparent dead ends proving to be pathways and other promising opportunities only leading to cul-de-sacs. The film is perfectly paced, the multiple stories balanced, Allen mastering the juggling act and never staying in one place for too long. The cast is deep with talent and absolutely stellar, Allen's prominence attracting a star in every role, and they equitably share the screen time. Farrow, Hershey and Wiest have rarely been better, benefiting from Allen's genius in creating well-rounded female roles. Caine acts with sorrow-filled eyes, nailing the middle-aged man willing to risk stability at home to chase one more fling. 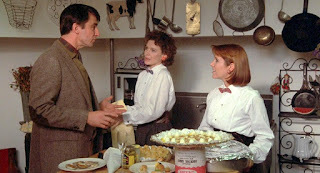 The cast also includes Daniel Stern, Carrie Fisher (as Holly's frenemy), Julia Louis-Dreyfus, Julie Kavner, J.T. Walsh, John Turturro, and Richard Jenkins, as well as Tony Roberts and Sam Waterston in uncredited roles. Hannah And Her Sisters is sly social commentary in a perfect package, clever enough to tease out human foibles and warm enough to understand their essential nature.